Could Police Leadership Break Down Law Enforcement Resistance to Science? From The Crime Report, I learned that the International Association of Chiefs of Police (IACP) gathered 70 experts from various disciplines to discuss wrongful convictions at a summit meeting last week in Alexandria, Virginia. In his August 22 story, Ted Gest tells us “wrongful convictions worry cops,” and that the IACP called the summit to address the problem. 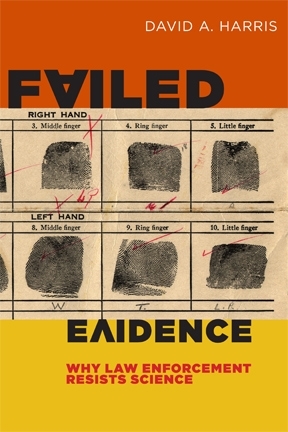 Given the subtitle of my book Failed Evidence — “Why Law Enforcement Resists Science” — the IACP’s interest in addressing issues that lead to wrongful convictions could be the beginning of very important changes in police attitudes and practices. What’s behind it? The damage goes beyond the wrongfully convicted citizen; it hurts all those involved in the case, including law enforcement and prosecutorial staff, families of the wrongfully accused, the victim of the original crime in question, and the public at large when justice is not carried out and the true guilty individual is not arrested and punished. To this end, the summit featured working groups on “Making Rightful Arrests,” “Correcting a Wrongful Arrest,” “Technology and Forensic Issues” and “Reexamination of Closed Cases.” This is not a bad list of places to start; if I could have made a list of ten possible topics, these four would have made it. I did not attend the summit; it was not open to the public. But the IACP says it will use the proceedings at the summit to issue a set of recommendations. So while I can’t offer first-hand reporting on what went on, I find myself encouraged by the fact that the summit took place at all, and I commend the IACP for their interest in these issues. So: could the IACP, one of the oldest and most established law enforcement professional groups in the world, become the vanguard of a movement in law enforcement to stop resisting science? Fingers crossed. I’d love to hear from anyone who was there.